This is a guest post by Clay Brizendine. Clay is a CPT, a personal and corporate trainer, father of two daughters and author of Shoebox Letters – Daughters to Dads. Follow Clay on the web and Twitter. Interested in guest blogging for NFI? Send us an email. 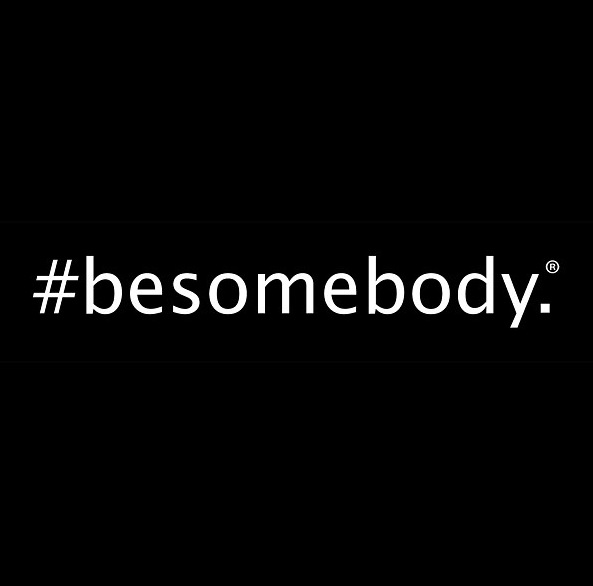 A good friend of mine, Kash Shaikh, is starting a movement called #besomebody. What is it? In his words, ‘whatever you want it to be.’ He’s starting to get good momentum, and as I see and hear more about it, it got me to thinking about the ways in which I want to #besomebody. One of the biggest? In my role as dad to my 2 daughters. In Shoebox Letters – Daughters to Dads, I point out nine key themes that can direct you to being the best dad you can be. The question is – how will you use these to #besomebody? Use Father’s Day as a time to reflect on what it means to you to be Dad. I am very much a believer that strong foundations are what make the impossible possible. Loving your daughter unconditionally turns dreams to realities. It unlocks potential. It makes trying new things without fear-of-failure something that your daughter does rather than just thinking about. Loving unconditionally sets the strongest foundation for a unique bond between dad and daughter. How can any of us grow if we’re not stretched beyond what we’re capable of today? Patience is truly a virtue, and as a parent, it’s tested. It’s downright hard sometimes to be patient with your daughter when your job, others in your family, and other priorities all comingle. Patience is further tested when it’s hard to see an end in sight. But the bigger picture tells us to have faith, to be patient, and to recognize the light at the end of the tunnel isn’t as far away as we think. Being your daughter’s dad is an art, not a science. With no manual, we test some things, see if they work, and then try again. Sometimes we work so hard over here… that we forget about what’s over there. Sometimes it’s by choice, and sometimes by accident. But in either case, as a dad, it’s our job to be mindful of our actions and the consequences that can come from them. A dad is human. A dad is a person. You’re not just a dad. You have interests & hobbies, likes & dislikes. Some of those revolve around your daughter, and some of those were formed long before she came along. Letters in the book tell the stories of dads who played what is sometimes the hardest role to play as a dad – themselves. What came from that was… well, amazing. Hundreds of books have argued over what the exact traits are of great leaders. Parents are the leaders of their family, and what has shown to be true through countless generations of these leaders is that setting the right example is critically important. Walking the talk, living your ideals, and recognizing that actions speak louder than words is a sure-fire way for you to have a profound influence on your daughter. Themes that naturally arose from these letters – unconditional love, patience, being amazing, and setting the right examples – are all challenging enough for a dad. They’re even harder to do when dad isn’t around. de·pend·a·ble. Adjective: Trustworthy and reliable. Synonyms: reliable – trustworthy – trusty – sure – certain – safe. Being dependable is more than just showing up… it’s being there when it counts to your daughter, creating a sense of security. When she can’t count on anything else, as will happen on occasion, she needs to know she can count on you. Being a hero to your daughter takes everything you have as a dad. But how would you know if you lived up to that billing? You’re on the right path if your daughter describes you like some of the ones from the book describe their dads. Love Unconditionally. Be Patient. Be Mindful. Be Amazing. Be THE Example. Be There and Be Accountable. Be Dependable. Be Their Hero. Why? So that when you’re gone, you can Love Forever.